Almost 40 students and graduates of London Metropolitan University started the year 2018 with a spot on our Quickstart programme. 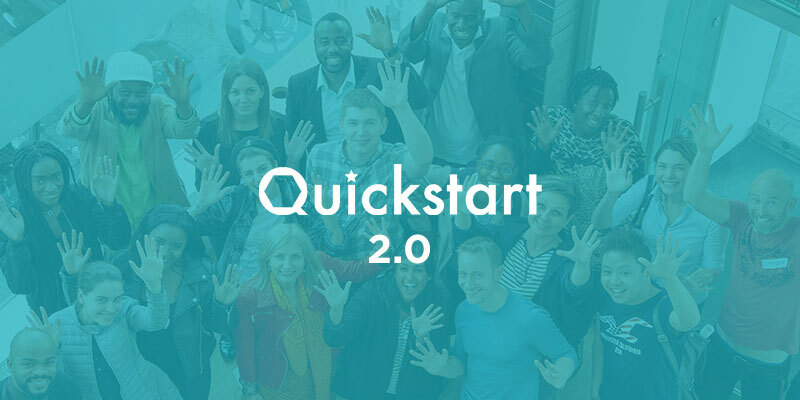 Quickstart is a 4-week programme designed to equip individuals with the business and personal skill set they need to have the confidence and inspiration to get them to where they want to be. The programme is designed for individuals with business ideas that are ready to go, such as translators, furniture makers and food businesses. We address barriers that can prevent individuals from starting a business, so they can achieve their full potential in an environment that is free from fear and failure. We encourage growth, learning and testing out ideas with like minded individuals. Some of these barriers may include not knowing who your customer is or how to price your product or service and we support you, every step of the way, in addressing these obstacles. Over the past 4 weeks we have covered topics such as how your business creates value, personal goals, who your customer is, social media, building your website, making a powerful marketing campaign, finances and legal structures. We have been meeting every Monday from 5.30pm – 8.30pm, which might seem like a big commitment during term time, but a large majority of the feedback said participants wanted the sessions to last longer. The cost for you is absolutely FREE and we don’t take a share of your business: we are here to encourage your personal and business growth. We understand that running a business is extremely challenging and can be isolating in the beginning stages. Therefore, we are here to take you through this part of the journey, making it that bit easier. It’s been fantastic to work with such a committed and enthusiastic group of individuals and watch them apply what they’ve learned each week to their businesses. If this programme sounds like something you would benefit from, please register your interest in our next programme of Quickstart that will kick off summer 2018.